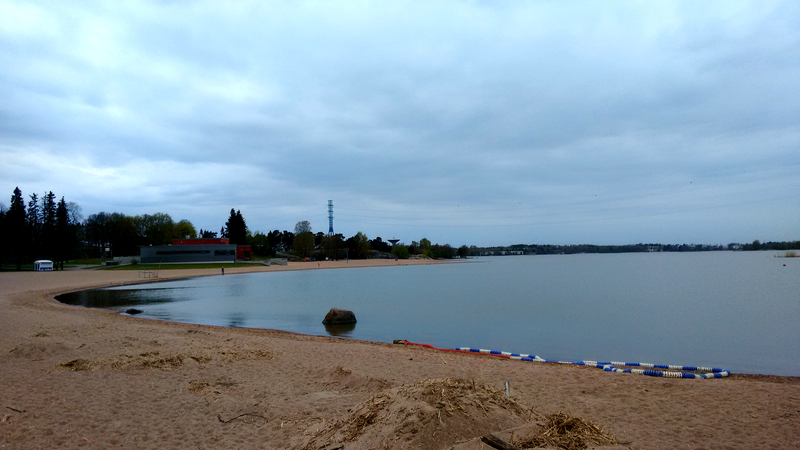 We had discovered this little beach called Hietaniemi Beach back in March (2015) rigth after I moved in to Finland. At that time, the sea was frosty and outrageously windy. We were on our regular Sunday evening stroll and suddenly a sandy beach appeared in front of us. It was too foggy and cold to explore the area but we promised to return in summers. 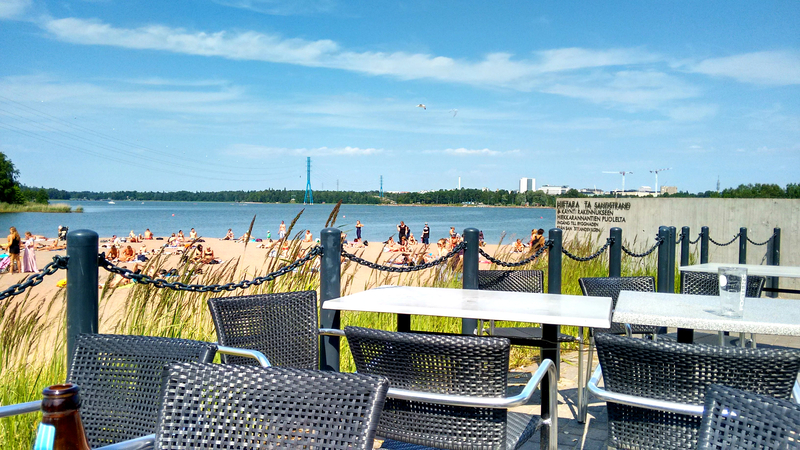 So when Helsinki temperature soared up to 23 degrees last Saturday we decided to go and spend a lazy afternoon by the beach. The beach was not too crowded but considering it is located in central part of the city there was an impressive number of weekend revelers occupying the cozy spots. The most surprising thing about this beach is, it wasn’t a sandy beach to begin with. In fact, it was a storage area for the sands they dug out from the sea bed for several years. 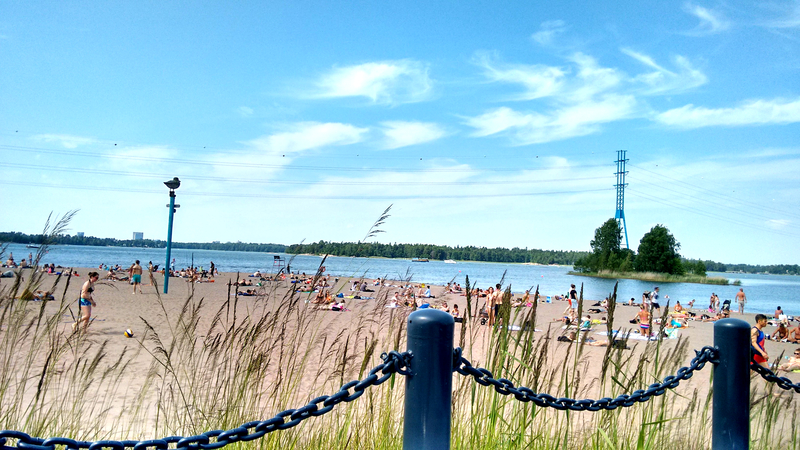 Funny, they never used the sand and it turned into a nice beach area suitable for beach volleyball and sun bathing. I suspect the motive behind gathering sand by the sea-shore was the same. 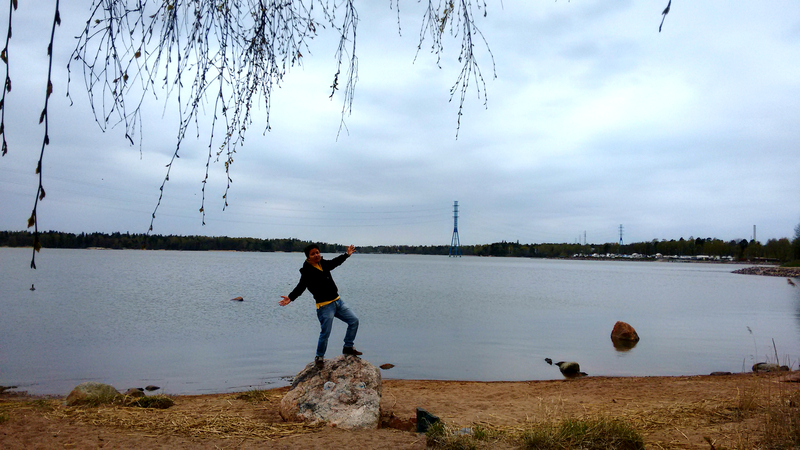 Anyway, the water doesn’t look blue which is kind of disappointing but can you really ask for more in a cold and gloomy place like this. The sea came to a complete thaw in summers and I am happy about it. Again on the down side, there aren’t much eateries near the beach. To be precise I spotted one nice restaurant bar and one small fastfood stall. There is one ice cream kiosk in case you don’t want to stand in the queue at the restaurant. In my case, my husband misread my signs and cancelled my smoothie order. So not wanting to queue up again I had to opt for ice cream which was really yum.